‘Ayanokoji’ in Japanese means ‘Colorful Lane.’ At Ayanokoji, we hand-make each of our Gamaguchi bags and cases in our Kyoto workshop. We are always thinking about what new and exciting products we can create next! We revitalize traditional techniques and use materials that have been declining in use in the modern age, taking into consideration every detail: from the fabric design down to the tiniest clasp details. 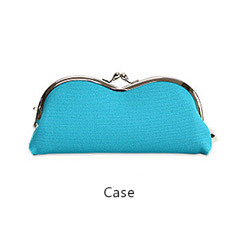 Not only easy and convenient to use, our products are full of character. 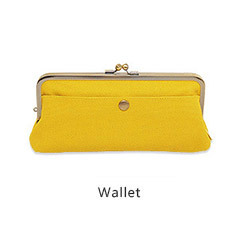 Japanese in style yet simple and adaptable to everyday living, and above all, made especially for you! 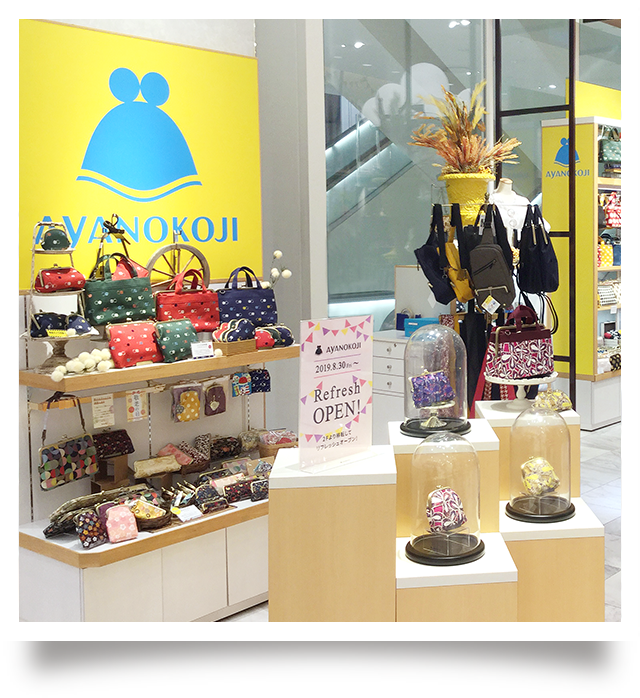 *Please note that opening hours may differ at each store. 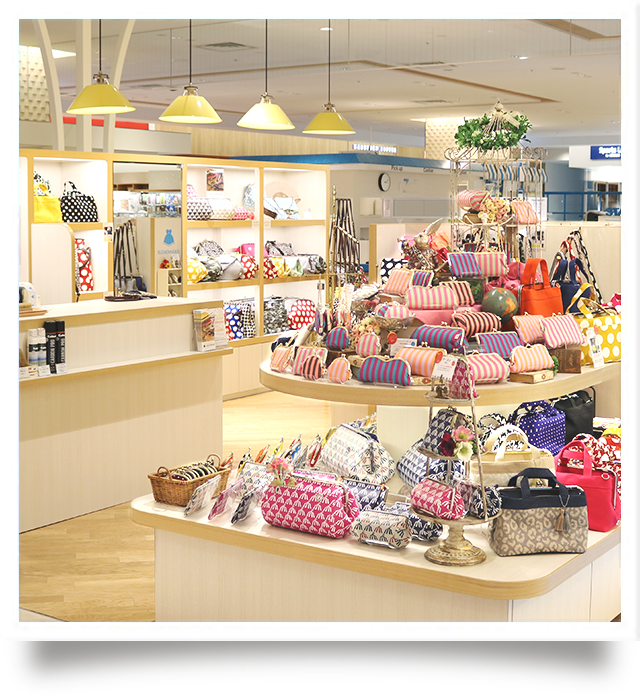 Our Gamaguchi Products are stylish and sophisticated, and their ease of use makes them perfect for everyday living. The distinctive1 ‘kiss-lock’ clasp is easily opened with one hand, and everything is visible — that means no more hassle and wasting time digging around for your keys or mobile phone! 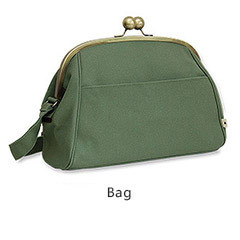 Our Gamaguchi products are found in a variety of sizes and shapes, from handbags to glasses cases, coin purses to pouches. The town of Takashima in Japan’s Shiga Prefecture has a history of weaving dating back to the latter half of the 18th century, during the Edo Period. 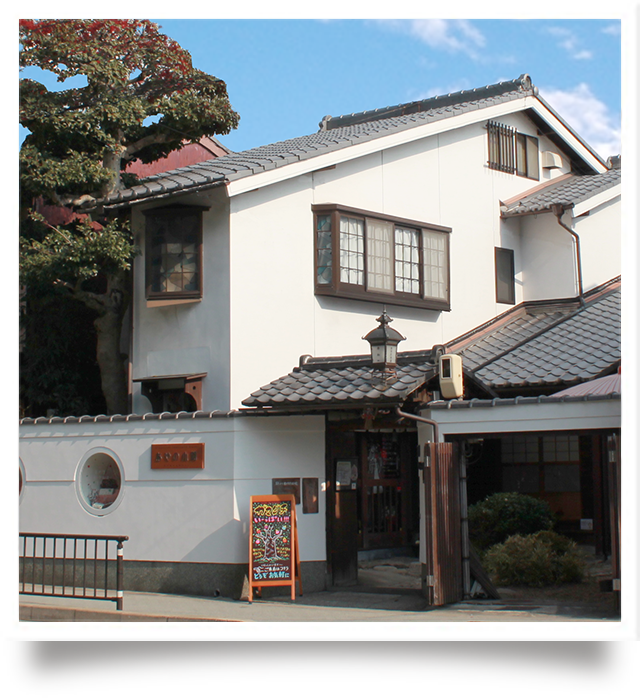 Located on the shores of Lake Biwa, the largest lake in Japan, Takashima is said to have its own special climate, where frequent rain and suitable humidity create the perfect conditions for weaving the most durable fabric. 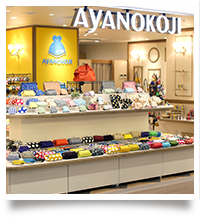 The historic, Takashima-based weaving workshop that Ayanokoji collaborates with continues to maintain the highest standards of quality and technology, according to the guidelines set out by the Japanese Industrial Standards Committee, even though the standard was abolished in 1997. Using the latest Airjet looms we produce a maximum of 20m of eight-grade canvas in one hour, but we strive for perfection in our final product. We weave the fabric for all our products in this workshop simply because we believe that there is nothing that can match the quality of an item crafted by hand. Our technology may be advanced, but we still carry out thorough, manual checks to ensure our fabric is without a single flaw. It is because of our staff’s impeccable attention to detail — that is not always the case with machines — that we maintain our high standards of quality and keep our customers happy! After our fabric is woven, we send it off for dyeing. Our plain fabrics are shipped to a specialist dyer in neighboring Osaka, while our original fabrics are all designed and dyed by hand in Kyoto. 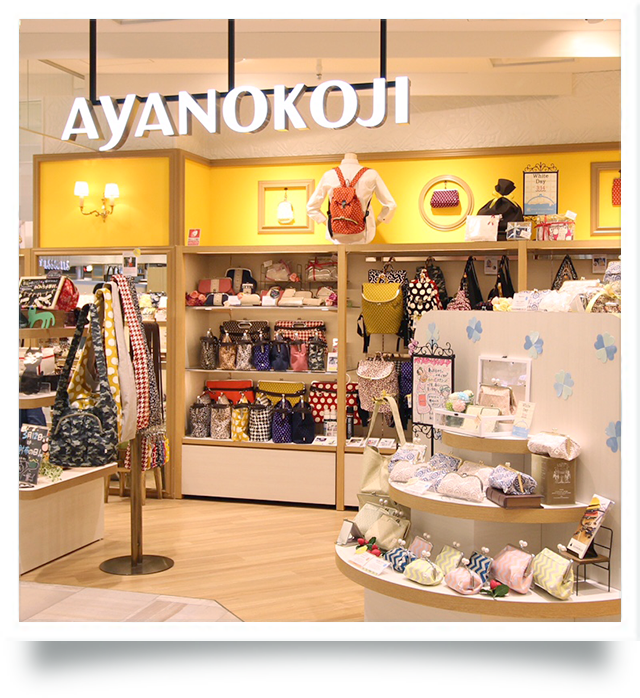 Because of this, you can be sure that your Ayanokoji product is a unique creation! * *For this reason, please note shade variation may occur in products of the same color. Lightly apply a waterproof spray to the fabric of the product to protect it from dust and soiling.Please take care not to dampen the fabric too much with the spray, as that may cause the clasp to detach from the fabric. For light soiling, lightly use a white eraser or a brush. If there is still soiling, use a neutral detergent and scrub with a damp towel. *We do not recommend tumble-drying.Please do not soak your Gamaguchi product in water. 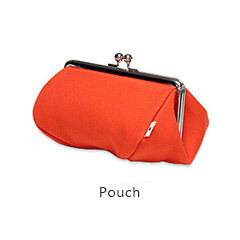 This may result in the clasp detaching from the fabric, fabric shrinkage, or discoloration of the fabric. 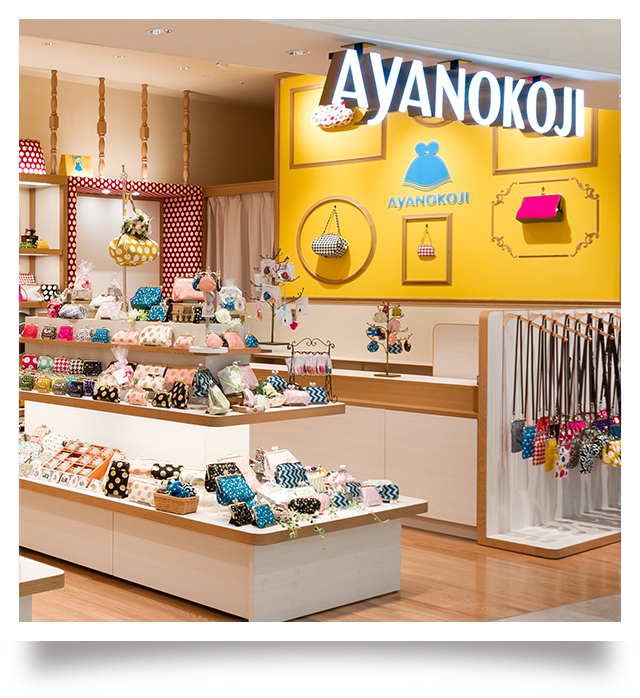 With wear, the clasp on your Ayanokoji product may loosen and not close properly. Please refer to the diagram on the right and lightly apply pressure in the direction of the arrow. While keeping the clasp open, apply pressure to the knobs. If this does not improve the strength of the clasp or the shape of the clasp is not as it appears above, please note that applying too much pressure to the clasp can cause it to warp. To inquire regarding repairs, please contact us by e-mail. 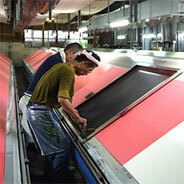 As soon as we receive an order for a Gamaguchi product, the first thing we do is to cut the desired fabric. 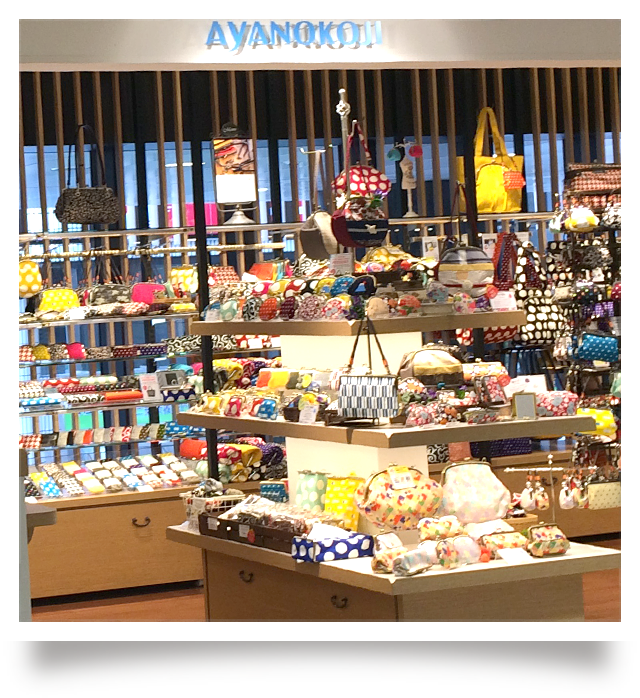 The cut fabric is then sewn together using an array of colorful threads, bringing our Gamaguchi products to life! For the important job of attaching the kiss-lock clasp to the Gamaguchi bag or case, we use a number of very unique Japanese tools. We have an extraordinary 200 different types of clasp alone, which adds to the character of our products. Using a tough paper string, we fasten the clasp securely to the product. The first thing our craftsmen do to ensure that the clasp does not detach from the product is to insert the paper string evenly, which maintains its beautiful shape. Then, one-by-one, he adds the finishing touches that hide the string from view, again making sure that in the process the fabric is not torn. Lastly, the clasp is adjusted so that it closes properly. A product of the same shape but of a different material may require a different clasp altogether, and therefore a different method of attaching it. For our craftsmen, a new challenge awaits with every new product! After the item has had a kiss-lock clasp attached, it is passed onto our quality control team. “Is the clasp on tight?” “Is the fabric without tears or marks?” “Is there any problem with the sewing?” “Does the Gamaguchi product close properly? 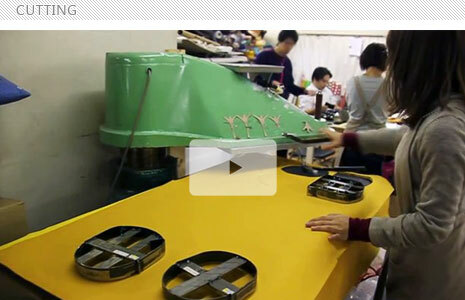 Only when each of these things are checked individually, our products are dispatched to our stores. Before that, we also put the products through an x-ray machine to check for any irregular items that might have found their way inside. Your safety is our priority! 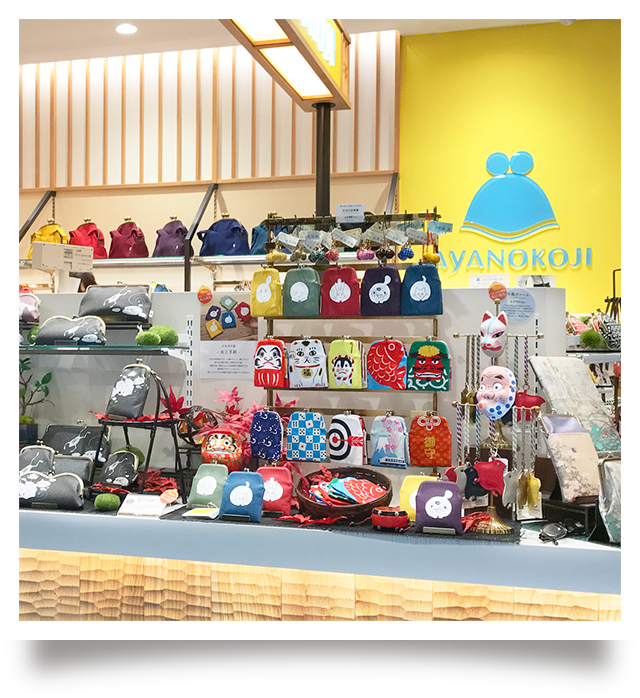 The Ayanokoji Gamaguchi Workshop has been producing Japanese craft items including Gamaguchi bags and cases for the past several decades. In the tranquil atmosphere of our workshop, our craftsmen meticulously and thoughtfully hand-make every one of our items. 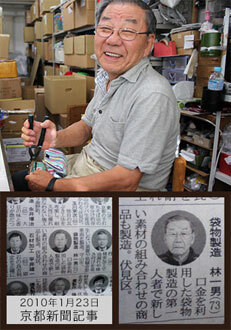 One of the gentlemen at work here is Kazuo Hayashi. 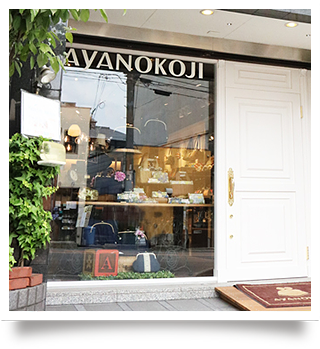 As a specialist bag maker, he was given the prestigious title of ‘Contemporary Master Craftsman’ by Kyoto Prefectural Government. He oversees the entire process: from the sewing of the products to the development and production of clasps. 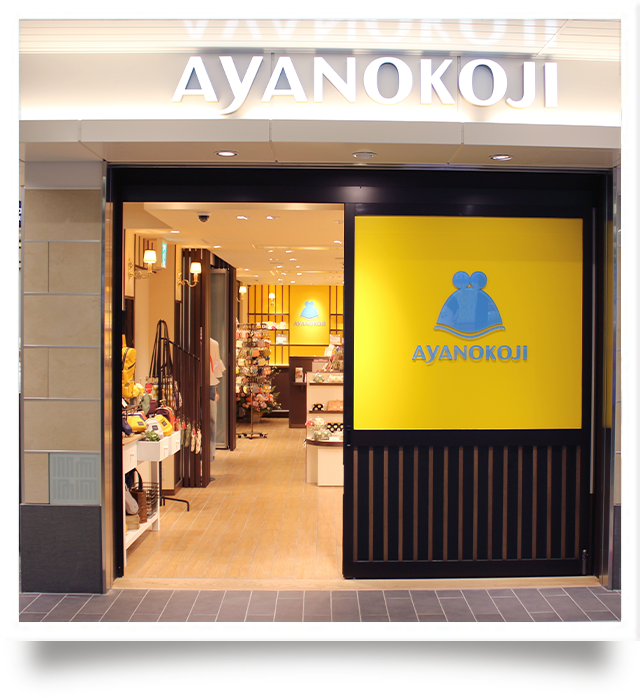 We’re often asked, “Can’t you produce more with machines?” But we at Ayanokoji remain committed to Japan’s rich craft traditions, and most of all to the craftsmen engaged in these traditions. As a result of choosing hand-made over machines, our products will always retain their own uniqueness. 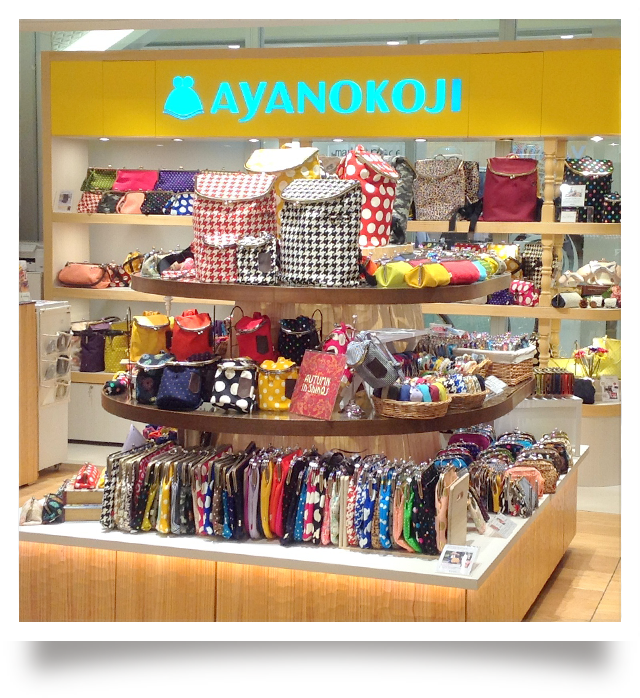 In the past, we fulfilled orders for bags and cases from apparel makers, large mail-order companies and traditional ‘tenugui’ towel stores. 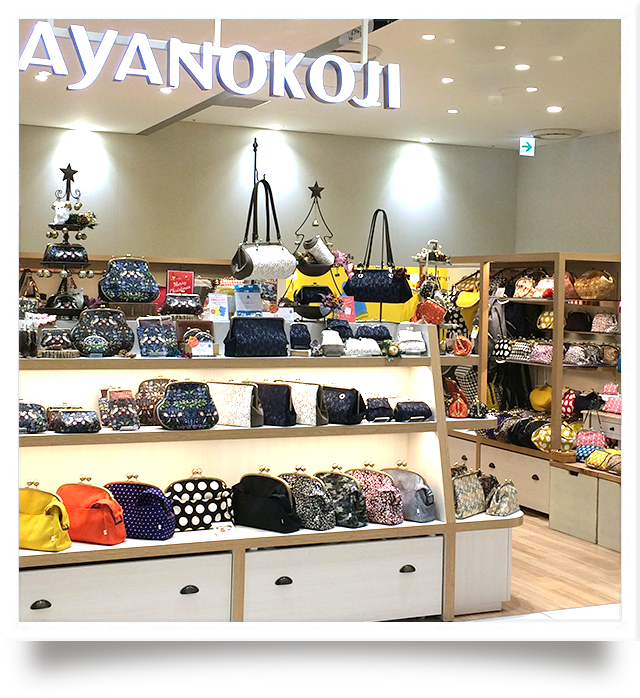 Today, however, having accumulated experience over many years in the business, we design and develop our own Gamaguchi bags and products, which are also available in fine department stores such as Takashimaya and Isetan. 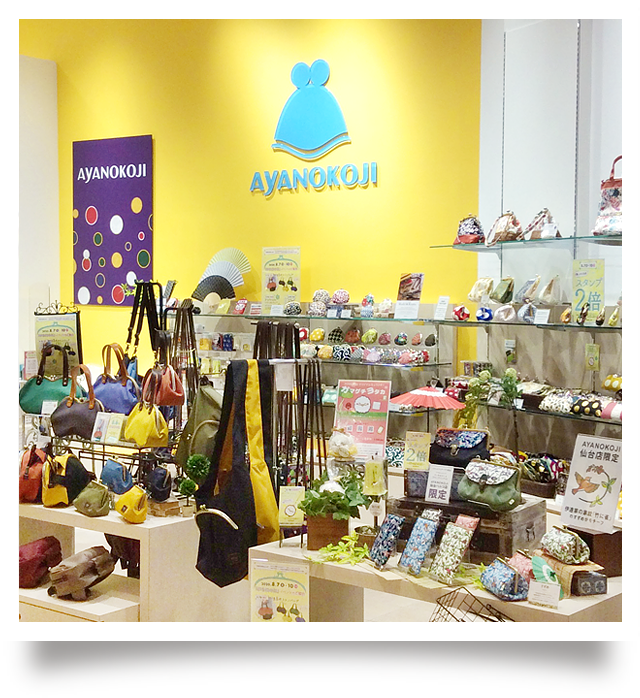 COPYRIGHT c AYANOKOJI ALL RIGHTS RESERVED.